Looking to pick up the BlackBerry Priv for a great price? Daily Steals has an AT&T branded, but unlocked version of the first Android powered BlackBerry phone for just $450. That is a 31% price break. And since this is an unlocked GSM handset, it will still work over the T-Mobile network as well. Just last week, BlackBerry CEO John Chen admitted that the launch price for the Priv was set too high at $700. Even the recent $50 price cut isn't expected to drive demand. Chen says that two new lower priced Android phones are coming later this year, priced in the range of $300-$400. They might not be as high spec'd as the Priv, and only one will have a physical QWERTY keyboard. If you're on AT&T or T-Mobile, does paying $450 for the Priv strike your fancy? If so, click on the sourcelink. Since Verizon is a CDMA carrier, this deal is not compatible with Big Red's network. And Sprint has announced that it is not carrying the Priv. The deal ends in five days; if you are interested, do not procrastinate. Awesome phone at this price. Too bad it's Android though. The missus hijacked mine a few months ago and will not relinquish it so I'm stuck with the Baby Fruit. For now (waiting on Surface Phone to finally surface). Waiting for that Surface Phone as well! They matter to us, and that's what's important. You like what you like. That's fine. Allow us to like what we like in peace. My Grandma lived to be 100. Not by using Android, but by minding her own damned business. Selling new phones means that AT&T wants to clear the inventory and selling the phone to a third party at a discounted prices. However, $450 should've been the PRIV price from the beginning. Still a good deal though. It should have been that price from the start. But I think it's a much needed price change but the Nexus 6P is still a better buy right now. Nice! Great phone at a great price! Yay. This phone will do well at $450. Awww. Damn. I thought it was a permanent price cut. Not a bad price for a decent phone. Although the Nexus 6P at $499 for the 64GB is a better buy. After the Surface Phone failed to make an appearance at Microsoft’s BUILD conference, Now, according to a report from Windows Central, sources close to the matter are saying that Microsoft may actually wait until Spring 2017 to release the new device. 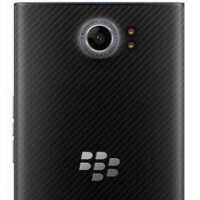 I'm not a BB guy, but that's a pretty damn good price, for a sweet phone. Is that model phone has all T-Mobile LTE bands?? 2,4,12?? Just so you know, my PRIV is an unlocked AT&T one. It works on T-Mobile LTE bands with no problems. I'm due for a new phone and this price is very tempting, but then again I can get a brand new note 5 for $480 or the nexus 6p. This phone does not even worth the $ 450 price tag. Probably $ 300 will be a fair price. I was looking at the Sony Xperia Z5 Premium or a PRIV. I bought the Z5 to get more bang for the buck at $700+. At $450 it is all I can do to keep from clicking the Add to Cart button. But I keep reminding myself that I already have a BB Passport, BB Z10 and Sony Z4 Ultra sitting around. I like the Passport too much to sell it but maybe I can get a few bucks toward the PRIV if I sell Z10 and Ultra on eBay. I know how you feel about the Passport. It's an amazing smartphone. Even at the price point competition is still very tight. You have the s6,6p,moto x,g4.